I purchased my first whippet from our neighbours in 1963, but it transpired that her father was not the illustrious sire on her pedigree but rather a clandestine rendezvous between Kaye and our then rescued crossbred Kelpie, Pal. Bonnie was speyed and lived with us to the age of 16. 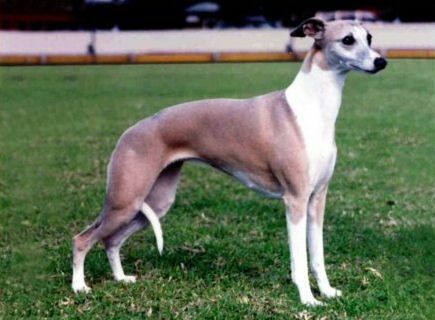 Kaye was bred again (and kept under lock and key) and I showed my first whippet on 14 February 1966 at Warwick Farm ABKC in Sydney. I bred my first litters under the Gleningle prefix and then combined with my parents and have bred since then under the Moonwind prefix. Moonwind has produced BIS and BISS winners along with challenges at most of the Australian Royals, and Puppy in Group wins at Hobart, Adelaide, Brisbane and Melbourne Royals. I was passed to judge the Hound Group in 1985 and did not proceed until 1990 with the Working Dog Group. I have continued from that time and have now qualified to All Breed status. I have judged in all States of Australia, New Zealand and South Africa.